First up is the special move limited to these catch-a-thon sessions. From the start of Community Day in your region until an hour after its end, you can have an Ancient Power Mamoswine. Sorry, Piloswine fans, but we have a chance at a Shiny version of this evolution (and its luscious locks). 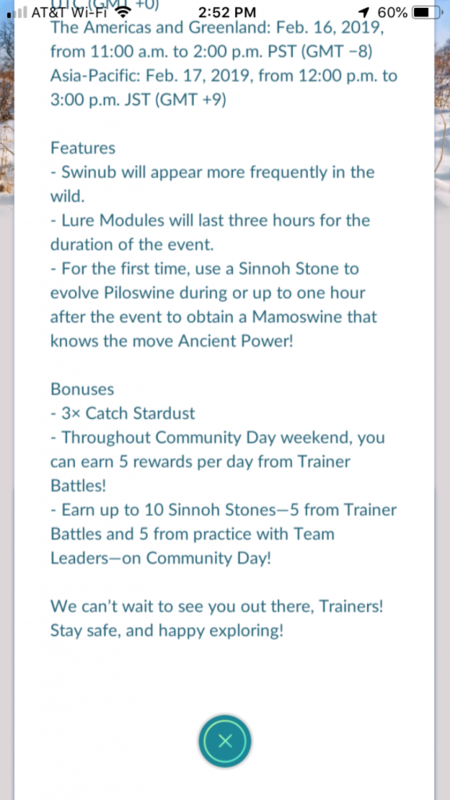 Of course, in order to obtain a Mamoswine, you’ll need a Sinnoh Stone. Don’t have one? You have a chance to earn up to ten Sinnoh Stones on Community Day. The catch is that you’ll have to earn them from battle. Start perfecting your team so you can be ready to challenge five Trainers and practice five times with Team Leaders. On top of that bonus, the entire weekend will increase Trainer battle rewards to five per day. Charge your batteries and gather your friends this Saturday! 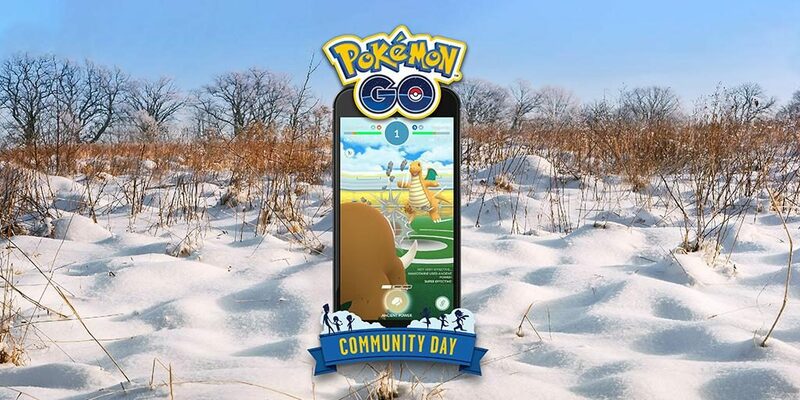 Use the hashtag #PokemonGOCommunityDay on social media platforms and you may see your photos make it onto the Pokémon GO site. Hi Jennifer, thank you for the essential write-up! The things you have mentioned within the post are really vital to remember and consider in the future.